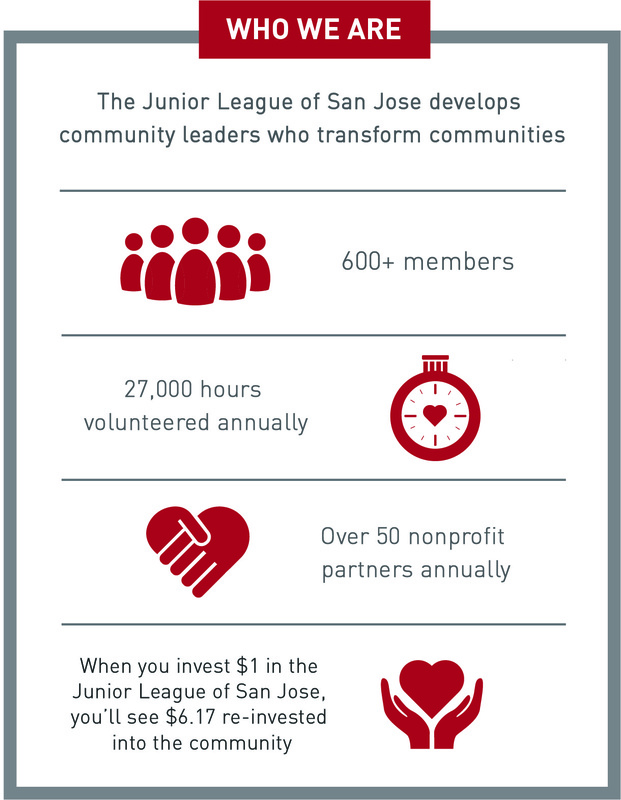 The Junior League of San Jose builds partnerships and seeks solutions that make a lasting impact on our ever-changing community. For the years, JLSJ has been developing an Issue-Based Community Impact model. In this model, we are seeking to change and improve systems and services of importance in our community. Our goal is to develop and support the civic leadership skills of our members in philanthropy, advocacy and public service. Our current efforts and commitment are directed toward helping foster youth successfully transition out of foster care. JLSJ provides Community Grants to organizations that directly serve transitional age foster youth (TAY) in Santa Clara County. Is your nonprofit working with foster youth aging out of the foster care system? We are looking for nonprofits focusing on education, employment, life skills development, literacy, nutrition, health, early parent education or safety to help foster youth successfully transition out of foster care. Apply to partner with JLSJ here for a Community Grant. Your organization would like to implement a life skills program for teenagers who are exiting the foster care system. You would use our grant to purchase supplies, fund programming and use our Members to set up and/or help implement a portion of the lessons. If you would like to partner with JLSJ, we want to hear from you! Please fill out the Community Grant form here. We will review all submissions and announce our 2019 partners in December 2018. Email Ginger Leishman, Community Impact and Grants Assessment Chair, at ginger.leishman@jlsj.org for information or questions.